Get a bingo card and a glass of beer (or wine) and keep your ears peeled for the songs listed on your card. Do you have the music recognition skills to outlast the competition? You could win major awards! It’s more fun than should be allowed on a Thursday night… but it is… we checked. Here’s how it works: You get a bingo card with your initial purchase of a beer or wine, and additional cards can be purchased for $2 each. The proceeds from the additional cards will go to support wounded warriors through Azalea Charities. Music will play over the speakers, and if you correctly identify the song, and it is on your card, you mark that song. If you get 5 in a row before everyone else, you’ll win a major award. And as an added twist, if two or more people get bingo at the same time, we’ll have a dance-off to determine the winner (by popular vote of course). Each week we do a different genre or sub-genre. 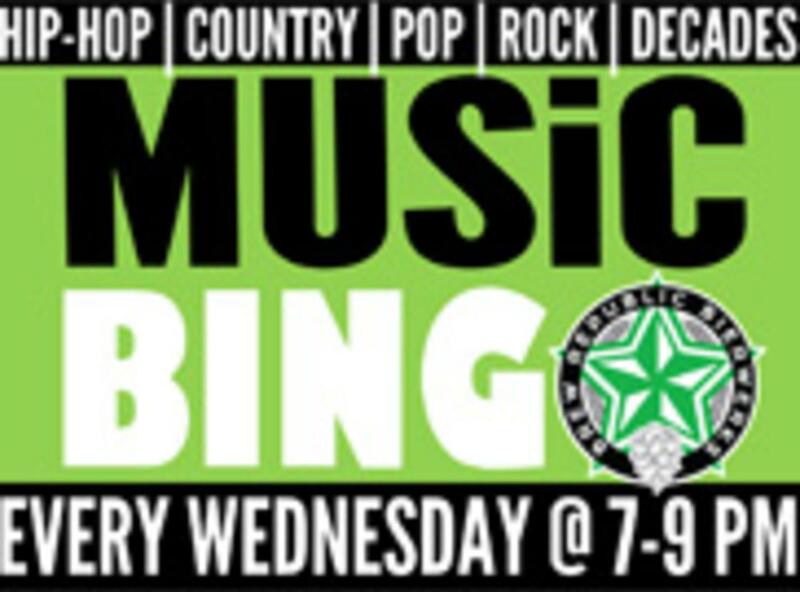 Visit https://brewrepublic.beer/events/categories/music/radio-bingo/ for the current line-up.